Mezcal has been cited as ‘the next big thing’ in bars for the last couple of years, but as Katie Canfield discovered we’ve not seen anything yet when it comes to getting our hands on some of the most authentic and artisan mezcals around (main picture: Marcela Taboada). At the start of the year, with a week’s vacation, no prior commitments, and a keen interest in visiting Mexico and to check out the mezcal scene in person, I booked a last-minute trip to Oaxaca. I had made a few inquiries in advance with fellow trade members for recommendations on whom to visit, but upon arrival to Oaxaca City, I had received no replies and decided I’d have to plan my own visits through word of mouth in town. Following the first recommendation from a taxi driver, I travelled just 30 minutes from the city centre to Matatlán, where I found myself in a tourist trap of mezcal producers showcasing their bottles with the clichéd guisano (worm) in the bottle. I returned to the city despondent and distracted myself with the outstanding food and vibrant art scene of Oaxaca. Then, after a couple more emails and a chance meeting with a photographer who was well-acquainted with a few distillers, or mezcaleros, I had two appointments booked. 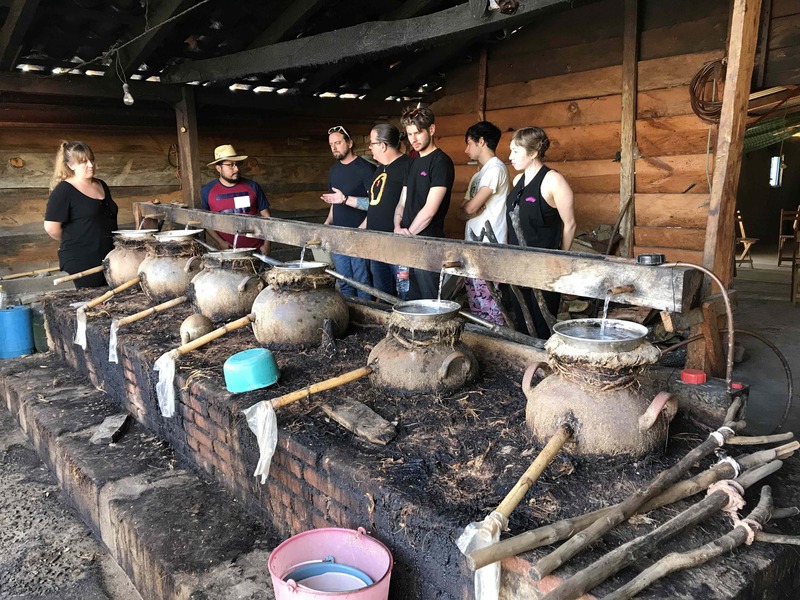 The first was with Dylan Sloane of Mezcal Vago, along with a group of rambunctious bartenders from Denver, Colorado, all of whom had travelled to Oaxaca for a chance to get properly acquainted with the mezcal they served and enjoyed back home. A hundred kilometre, two hours, and another 30 minutes up a windy dirt track later, we arrived at the palenque (distillery) of Salomón Rey Rodriguez or Tío Rey (Uncle Rey), located in Sola de Vega. The fact that he is the first generation in his family of mezcaleros to produce mezcal commercially, exclusively for Mezcal Vago, doesn’t seem to have altered his approach from his father’s – apart from the new palenque he built 10 years ago. 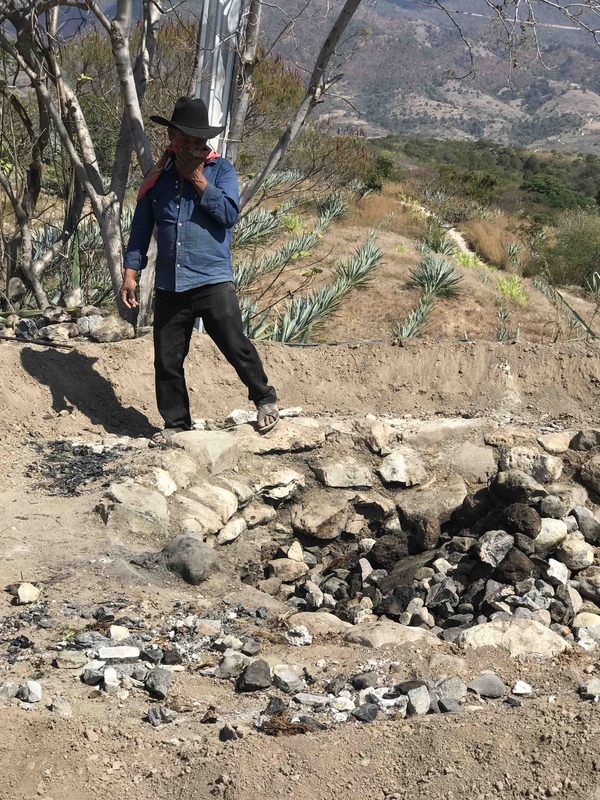 Our visit coincided with a roast – where the piñas (hearts) of the agave are cooked underground – requiring the efforts of Tío Rey’s family and neighbours, as well as a few willing bartenders. As dusk approached, the piñas were buried and after a home-cooked meal we were back in the van and heading towards Oaxaca. 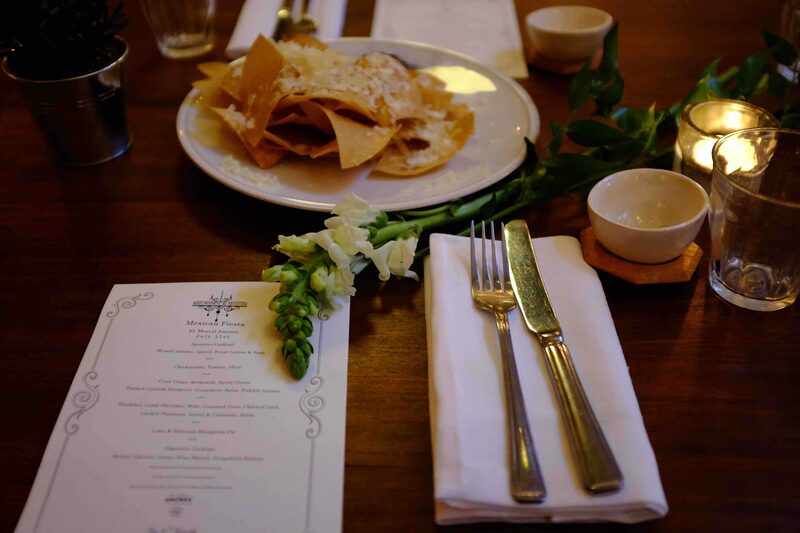 While the bartenders napped in the back, I learned the history of Mezcal Vago, co-founded by long-time friends Dylan Sloan and Judah Kuper after Judah’s marriage to the daughter of a mezcalero – a dramatic story of US and Mexican cultures coming together. The next day, I was back in the car for a 5am start to make my way with the Mezcalería Ambulante team to the palenque in the village of Santa María Quiegolani, a four-hour drive (two hours of dirt track) from Oaxaca City. 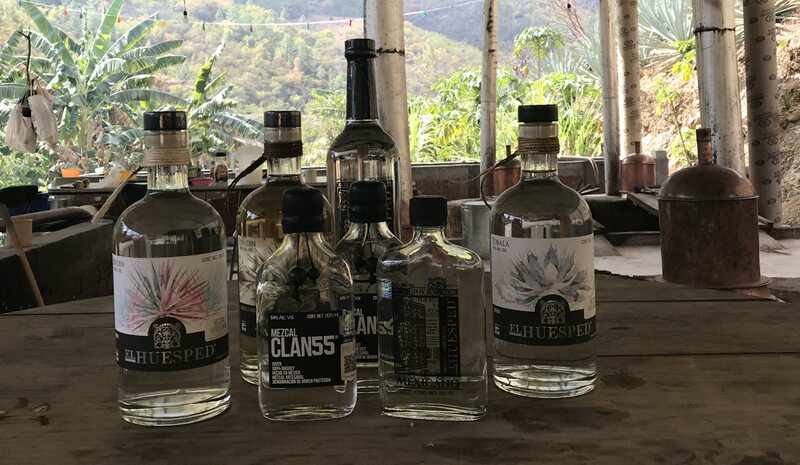 Eight hours of driving for a three-hour visit might seem excessive, but among the remote agave fields and the stream of pristine water (which is an integral part of the distillation), the truly unique flavours of the mezcals took on a whole new meaning. Mezcal is on the rise, a trend you can clearly see if you happen to frequent trendy cocktail bars in big cities throughout the US and, more recently, in the UK. With this in mind, I find the fact that the agave – or maguey- based spirit has found its home with bartenders and mixologists, to concoct imaginative new cocktails as well as reinvent the classics, is quite ironic when one takes a look at mezcal’s agrarian roots. Despite its popularity as a base for cocktails in export markets and tourists visiting mezcal bars in Mexico City or Oaxaca, mezcal is traditionally (and still today by locals) enjoyed neat. Described as a drink of the campesinos – or farmers – the best mezcals are crafted in small batches at palenques located in remote areas of Oaxaca and other Mexican states. Though its popularity in export markets is a recent phenomenon, mezcal has a long history of production and marketing, not all of which ties closely to quality and authenticity: big companies producing mass quantities cheaply – often adding more affordable sugar cane to the agave base – with marketing gimmicks that misrepresent Mexican culture. While industrial producers still control a significant part of the industry, today it is the artisan, campesino-crafted mezcals that are attracting spirits professionals and aficionados and driving exports. “Marketing to these experts drives quality up and producers are more motivated to up their game,” says Sloane. Quality mezcal production falls into two categories: artesenal and ancestral. Artesenal requires 100% agave base material to be harvested, roasted underground (to release fermentable sugars), crushed with a tahona (large stone wheel) pulled by a horse, and distilled twice in alembic copper stills. Tío Rey is the only one of Mezcal Vago’s four producers (and of the very few producers in Oaxaca) that abides by the ancestral method of production: mashing the piñas by hand with wooden mallets and distilling using only clay pots (ollas de barro). The process is even more laborious than the ancestral method and is regulated by the CRM mezcal regulatory board. While most mezcals are made from a single variety of agave, Tío Rey’s base material comes from field blends (ensembles), producing particularly rustic, earthy characters. 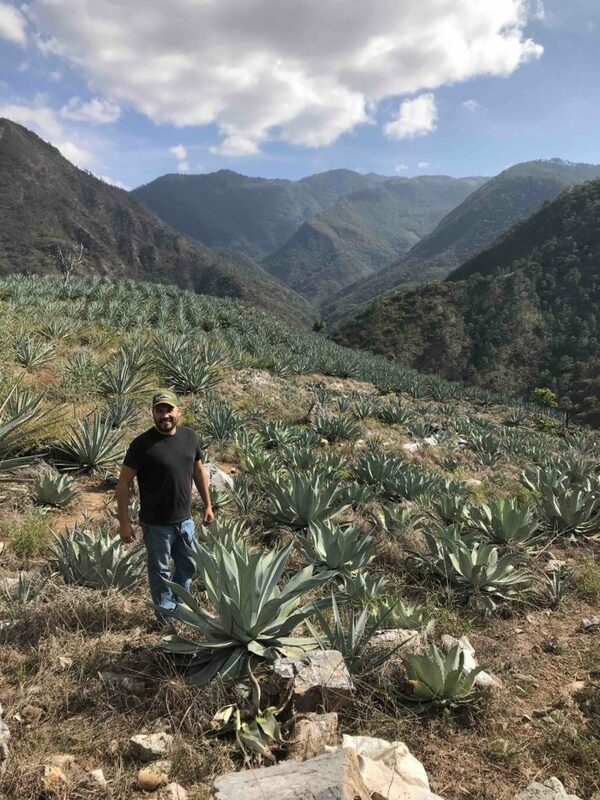 The base product, agave, takes a minimum of six years to mature to make a quality mezcal, so there’s no quick fix to the shortage of plants that is currently plaguing the industry. As a result, prices of agave have skyrocketed, and the price of mezcal has also gone up. Mezcalería Ambulante distiller, Juan Nacho Díaz, says that at the beginning of last year the price of agave was 7 pesos (28p) per kilo, today it’s more like 13 pesos (50p). 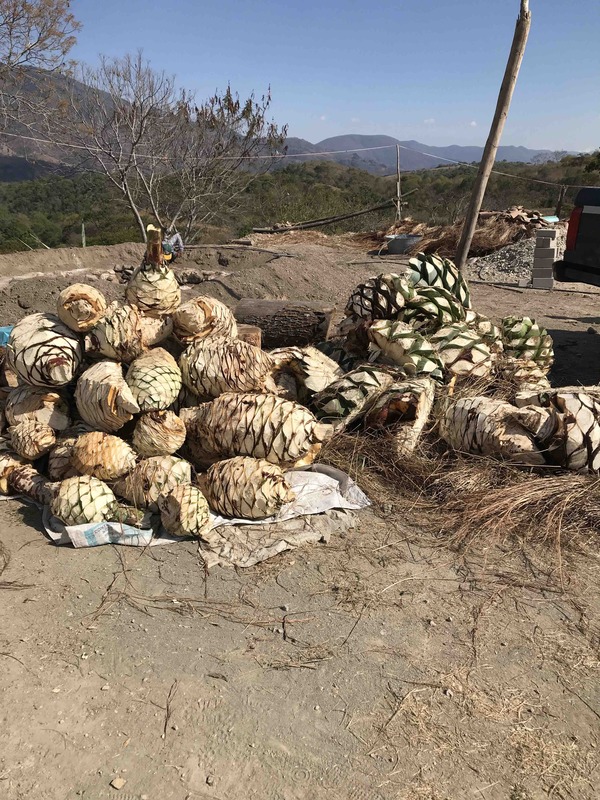 Díaz attributes the shortage to a crisis the industry saw eight years ago: a surplus of agave plantings caused prices to plummet to below 1 peso (4p) per kilo. As a result, many producers decided not to harvest (leaving the plants to die) to mitigate cost of labour and did not replant – resulting in the recent inflation. Today things are different: given the success of mezcal, more people are planting and it appears that the price of agave will hold steady. “The price shouldn’t go up much more because with the newer plantings there should be enough maguey to meet demand,” says Díaz. Still, it will be another six years before the pressure on limited raw material lifts, and the high costs pose a serious threat to smaller producers who can’t afford it, as in the case of Mezcal Vago’s mezcaleros. 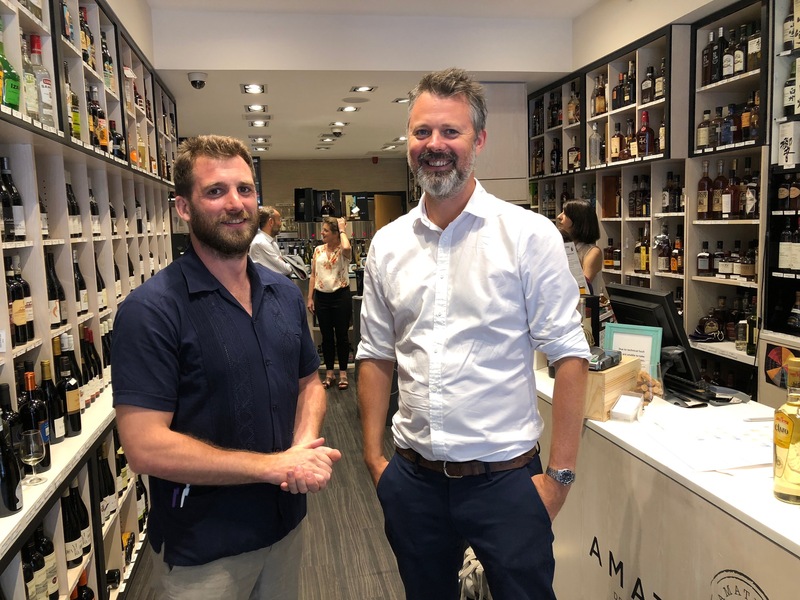 Needing a solution for the interim, they joined forces with US-based spirits distributor Samson & Surrey and were able to secure the funding to buy agave plants and subsidize to their producers. Unsurprisingly, investment opportunities have also attracted drink business giants to the mezcal trail: Pernod Ricard and Del Maguey (2017), Diageo and Pierde Almas (2018), and Bacardi with a minority stake in Ilegal (2017). A common thread in all these mergers is the assurance that the product and the relationship with the mezcaleros will remain unchanged. 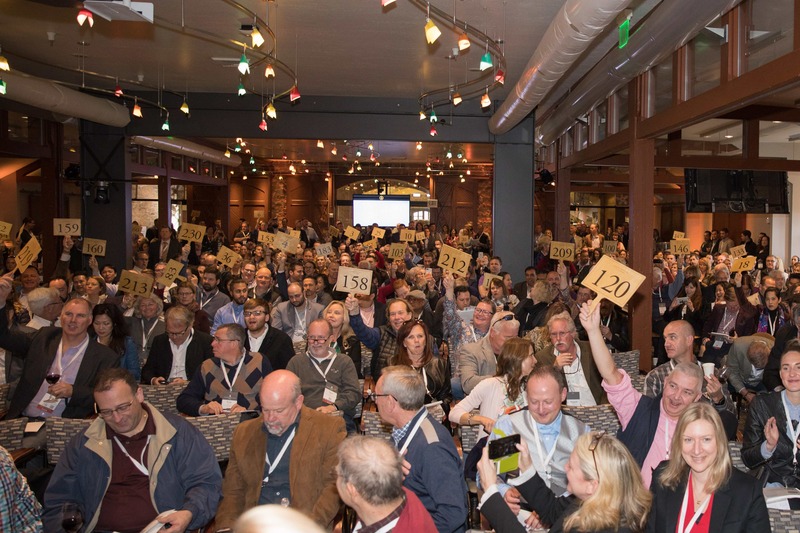 There are mixed opinions on whether or not these claims will hold true, but there is optimism that global recognition will benefit the industry. “The big guys are coming in, which may help to broaden the category instead of muscling out the little guys,” says Sloane. Marco Antonio Rivera, the “Mezcalero Clandestino” of Mezcalería Ambulante takes a more doubtful view of the situation, convinced that once companies of such scale get involved, it’s unlikely that an appropriate percentage of the profits will filter down to the pockets of the producers. Rivera’s approach is to foster the community of mezcaleros around Santa María Quiegolani, in order to keep large corporations out. Good or bad, the industry landscape will continue to shift, making fair partnerships with mezcaleros more important than ever. The commitment is already there, and manifests itself in different ways. Riveras admits that it’s difficult for producers in Mexico – they don’t have the resources to create their own brand and distribute internationally. Before founding Mezcalería Ambulante, which produces Clan55 for export markets (available in the UK through the German distributor Agavera) and Huésped for the domestic, he established an import company in Germany, allowing him to help producers in Oaxaca establish ties with distributors throughout Europe. Looking to the future, education will be key in ensuring that the work of the mezcaleros, based in the remote villages of Oaxaca and Mexico, has face value with the end consumer. To address this, the Mezcaleria Ambulante website includes a page of images illustrating the process. “Pictures – they’re a universal language,” he says. For Mezcal Vago, the heart of their promotional strategy in export markets – including the US, Australia, New Zealand, Europe, and the UK (now through Maverick Drinks) – lies in “empowering their producers.” Its website features detailed profiles of each producer, a blog with updates on each of the palenques, and enough facts on each bottling to please even the most insatiable of mezcal connoisseurs. The name of the distiller is also stated clearly on the label, along with production information in an almost scientific fashion – so that what’s in the bottle is clearly communicated to the consumer. “Geeking out attracts the nerds, and we bring the nerds right to where the mezcal is made,” says Sloane. And so they do. 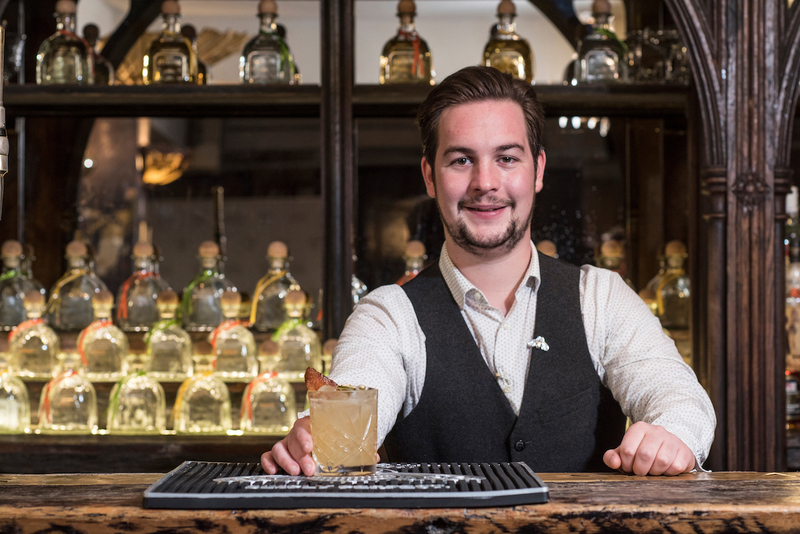 Sloane, who is currently based in Oaxaca, frequently hosts trade visitors and drives them out to the palenques to meet the mezcaleros and see the laborious, time-consuming process for themselves. There are few other spirits with such a profound connection to place – both the land and the people. The commercial success of the industry is motivating younger generations to stay and carry on the work of their families, further establishing pride in the traditional method of production and ensuring authenticity in the final product in the future. One thing is certain: putting the producer first will be key in building continued interest among today’s discerning consumers.